1st man to win 2⃣0⃣ Grandslam titles. RF20! What an incredible achievement. And to do it in this era! Congratulations Roger! Roger Federer is arguably the greatest tennis player ever to take up the game. 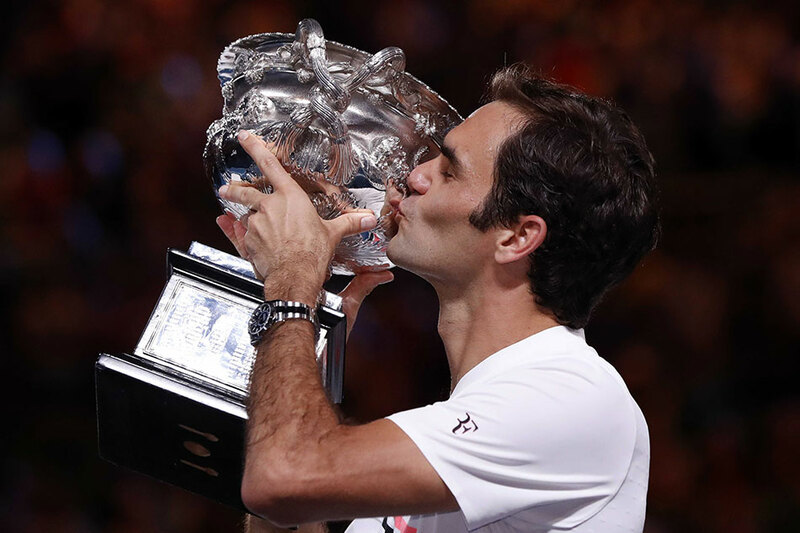 No description can truly explain the magic of Federer; he has proved his talent many times over, on his way to winning 20 Grand Slam singles titles. I just have no words…to see the joy you have for your tennis, the joy you have for your family, the joy you have for your team and the joy you have for your fans is humbling. May that joy continue! Congrats on your 20th! I am so happy that @rogerfederer won his 20th Major title last night. Lessons learned: Never give up on your dreams. And believe in yourself. This means all of us. WINNING GRAND SLAMS AT ANY AGE! Jesus Christ, Federer is not human. Congrats!! This 36 year old Swiss man who just won’t stop making history. He plays a game so pleasing to the eyes, he is proving everyone wrong and keeps amazing us. Don’t let anything in life hold you back. Go for it… just like Federer. Roger Federer wins his 20th Grand Slam title after beating Marin Cilic in five sets 6-2, 6-7 (5-7), 6-3, 3-6, 6-1. He now joins Margaret Court, Serena Williams and Steffi Graf as the only players to have 20 or more major singles titles! Roger Federer wins a record-extending 20th Grand Slam title, and sixth #AusOpen, with a five-set win over Marin Cilic. Many congratulations to you #Federer. The 2018 Australian Open was the 200th major tournament in the Open Era. All 20 of Roger’s slams (so far). ROGER FEDERER WINS SLAM NUMBER #20 AT THE AGE OF 36!! The collage says it all! Defying age & logic Roger Federer is the first man to win 20 Grand Slam titles 🐐.. An inspiration for all! A touching moment right there at the #AusOpen final. You can’t but love this humble man, Roger Federer, the greatest ever Lawn Tennis player. Congrats, @rogerfederer, on winning your 20th Grand Slam. Can’t wait to see your game up close on March 5 at the #MatchforAfrica. It’s crazy to see the level of champion I get to witness in my lifetime. The fact I have gotten to Watch Jordan Brady and Federer I’m my life is just insane. ← Tennis at San Quentin Prison breaking down walls & building character!